Cottonwood Heights is a residential neighborhood located on the south west side of Richardson, TX in the 75080 zip code that was established in 1955. It’s situated between Hyde Park Drive and Coit Road which run north and south and Beltline Road and Spring Valley which run east and west. The neighborhood includes a park called Cottonwood Park and also has a creek called Cottonwood Creek running through the middle of the neighborhood. Lifescape Villas, Waterfall Crossing, Waterview Preservation, The Heights Recreation Center and The Heights Family Aquatic Center are also entities worth looking into in this neighborhood. 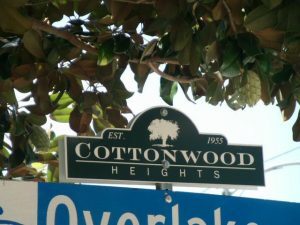 Cottonwood Heights does have a voluntary HOA. The neighborhood is served by the (RISD) Richardson Independent School District. You can find more information about the schools, neighborhood and country club with the links below.